As we move full steam ahead into 2019, you are likely looking to make some major headway with your real estate portfolio. With so much potential to tap into, though, you might not be 100% sure where to start. If you are short on ideas, we’ve got some useful and creative real estate marketing ideas and strategies for 2019. These should make it much faster for you to build a comprehensive real estate system that you can benefit from for years to come. Here are some useful real estate marketing ideas and strategies which are very popular in 2019. Probably the best thing that you could do as a starting point for your real estate business is to start using social media to your advantage. When used in the right way, it can be among the most powerful tools that you have. We recommend that you start off by looking at Facebook, Twitter, Pinterest and especially Instagram. 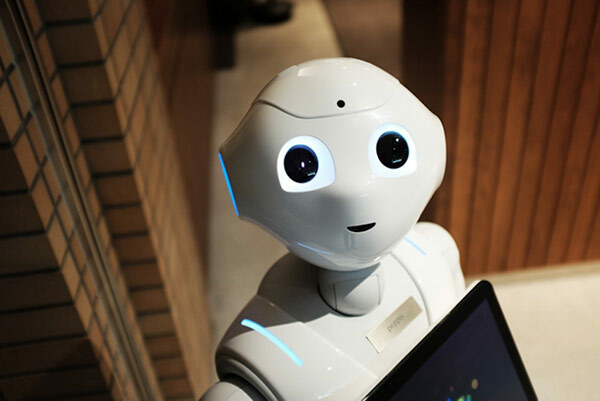 The last one is especially useful for real estate marketing in 2019: it’s got the happy blend of image-heavy content and easy interaction with readers and viewers. You can use this to start interacting with people, sharing photos of your best properties and really pushing for your business forward in the right way. If you are serious about marketing your real estate business in 2019, then you need to make use of social media as best you can. Social media is an essential tool for you to work with, and we cannot recommend that you use it enough for building visibility and credibility. Be sure to get yourself some social media pages set up, but remember that all good social media accounts are run with a universal kind of language. For example, how you come across on Twitter should be the same as you come across on Facebook. While how you market yourself will change from location to location, you’ll find that the general tone and style of language that you use should be a lot more rigid. This is a small but important step towards building a strong social media presence that is going to benefit you moving forward, so keep that in mind. By the same token, you should be looking to make the most of social sharing. 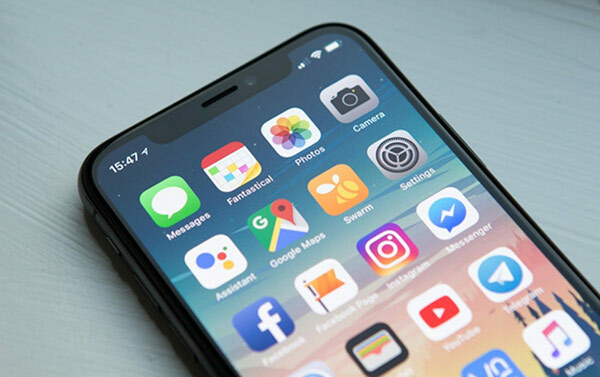 Many people don’t use social sharing features, despite it being a major part of real estate marketing in 2019. Why is it so useful? As research from Rightswitch shows, you can make sure that each and every one of your properties is easily shared on major social media channels. You’ll have noticed it yourself on other property websites, lingering at the bottom of the page. The opportunity to go and share the content on places like Twitter, Facebook, Instagram, LinkedIn and the like is very useful indeed. If someone happens to come across a property that they like on your site, they could share it with their social media following – who knows how many house hunters just so happen to be following that person? It’s these little tricks that can make all the difference if you want to build a strong, secure social media presence. The more shares and interactions that you can get, the better. And the best way to get people involved with your business is to encourage your present viewers to share the houses they like. By doing this, you can really improve your social media presence. One of the most challenging parts of running a real estate business in 2019 is making sure that you can be interesting enough to the viewer. That might sound harsh, but it’s not intended to be insulting in any way: we just mean that you cannot stick rigidly to one particular form of content. Your best bet if you wish to get more traction and business is to start using more variety in your content. For example, do you just produce long read articles at the moment? They are very useful. From an SEO and a learning perspective, you can never have too many high-quality articles over 1000 words in length. That being said, you should also be looking to make the most of the most real estate friendly form of media: videos. With video, you can make sure that you start to see more people take decisive action. A video is far more likely to hold the attention of a viewer, and they are generally much more likely to take action. Indeed, you’ll be more likely to get people coming to check out your real estate website (and your properties) by using video to help advertise your brightest and best properties. You would be crazy not to be using video more in 2019, to be honest. Content in written form will always have its use, but you will find that video is very much a good way to get your more hits. If you are on your lunch break at work and you are house-hunting, you are more likely to watch a 2-3 minute video than read a longer article. When people have time, they’ll enjoy an article. When they are busy, though, videos can help to make up for that time attention deficit and still convince them to see what you have to offer. We mentioned earlier on that social media is very important, but your most important social media tool is that of Google My Business. This feature is almost essential for any business that is serious about long-term improvement, and is going to become a major part of helping you to bring in more business naturally. With Google My Business, you can easily start to make more of a positive impression on your audience. You can set up a Google My Business account very easily – if you ever had a Google Places or Google+ account, then it’s more or less the same as this. You will be able to set this up very quickly and without much effort, and you can then be more easily found in Google searches, on Google Maps and on Google+ – given the power that Google has in terms of market visibility, this is an obvious one to push for. Many people don’t bother with Google My Business, but it would be foolish to leave this kind of visibility on the table. If you want to make sure that you can market your real estate business in 2019, then you absolutely need to start using this kind of marketing tool. It’s not just for visibility, though; it’s for credibility. People will be less likely to use your business if they feel like your competitors are more professional looking. If you have a Google My Business account, then you can make sure that you still appear professional. With more information readily available, including your location, you make it much easier for people to trust that you are a real estate business they can trust. Credibility is everything, and Google My Business gives you credibility in spades. Lastly, we recommend that you look to use aerial photography to your benefit. This is a very powerful tool, and easily one of the most effective ways that you can improve how your business is seen in general. People who use this tool to their advantage are going to be able to make a massive impact on the way that their properties are seen and sold. When your competition is just using basic shots of the front, side, and back of the house, they aren’t getting a full feel for the area. Well, with the help of aerial photography, that changes more or less instantly. You will soon find that aerial photography is the perfect starting point for showing off not just the home from new angles, but the surrounding area. A home can look like a paradise with a close-up front view shot of the home. But it’s about more than this: what about when you arrive at home? Does the rest of the area feel as good? With aerial photography, you can answer these questions and boost inquiries into your home. By giving more of an abstract shot of the home, too, you are showing off everything from the roof to the size of the garden relative to the properties nearby. It allows you to offer the viewer a new perspective on your property that the viewer won’t get from a competitor. Simply by using a drone with a camera, you can snap some professional looking aerial shots that will make selling your homes so much simpler. As a real estate agent, 2019 offers both luxurious opportunity and massive challenges to be overcome. If you start marketing using the above tools, though, you might find it easier to handle these problems. 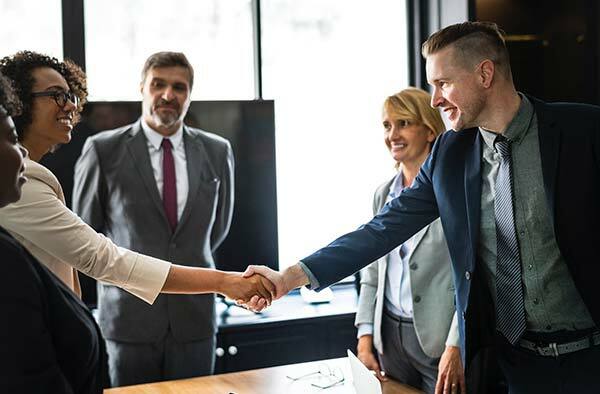 If you want to make this a profitable and successful year, then consider using the above ideas: they could make a huge difference to your real estate business. If you are doubtful or confused about which kitchen worktop to choose, this article may be helpful. The main confusion is faced by homeowners when they come to know about the granite as well as quartz kitchen worktops. Both are awesome choices and hence all the confusion. This article will help you get your confusion cleared. 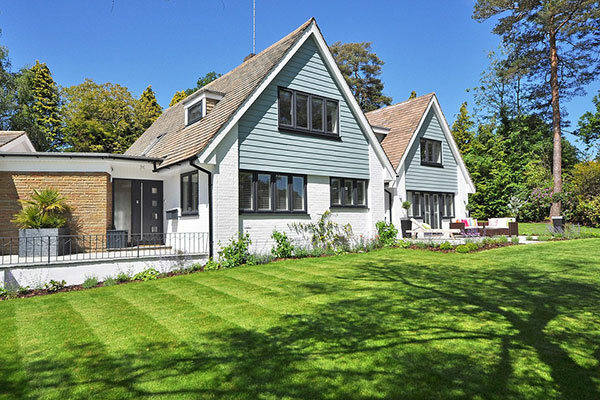 Are you undergoing major renovation for your house? If yes, then you must have included renovating all the corners and each of the surfaces of your house to be renovated. Right? Let’s check it. You have included your bedroom, of course, your washroom, your living room, and your kitchen room all. Did you include your worktops in the list? What? You forgot. Include it instantly. After all, it is the work surface of your kitchen that ensures a hygienic and healthy atmosphere for you to live in. 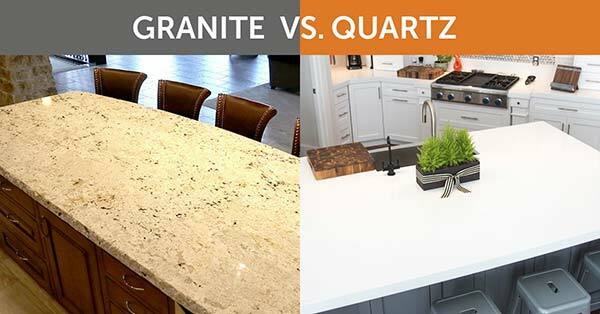 Well, there are many worktop materials that are available in the market but the confusion that most of the homeowners face basically involves quartz vs granite. 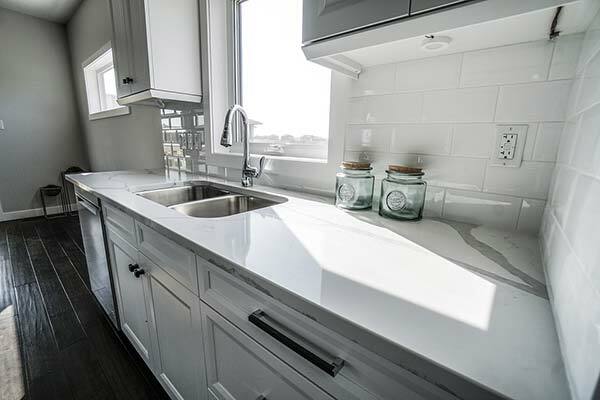 While quartz countertops are engineered stones and offer comfortable options that offer you maintenance advantages, granite countertops are natural stones that require considerable attention with respect to the maintenance aspect. But the look and feel offered by both is absolutely unmatched. What’s The Difference Between Quartz Worktop and Granite Worktop? With an extremely natural appearance, granite countertops are the most preferred options for homeowners who want to offer an elegance that appears naturally. So far as granite worktops colours are concerned, you get many shades starting from lighter colours like white to darker ones like black and dark brown. The quartz worktops colours, on the contrary, are available in almost every colour as they are painted with pigments. Starting from a natural looking colours to bright greens and darker shades of red, these are available in various shades. The most common colours, however, include whites with light grey, beige, etc. These worksurfaces are developed with a very consistent look that ultimately makes it capable of keeping seams unnoticeable. Granite countertops worktops stay as they are for even more than two decades. In fact, the cleaning care needed for the material is almost nil. A damp sponge and paper towels are enough to clean the stains and spills that may affect the look for the material in a negative way. Spills too are easy-to-clean and they can be handled with granite worktop cleaner perfectly without any significant effect being put. When it comes to quartz worktops cleaning, there is good news for you. If the cleaning aspect is your utmost concern, quartz worktop too is very easy to clean just like granite countertops. Clean fresh spills on the worktops can be handled well by using dish soap and a soft cloth while for rigid stains to be removed, you may use glass or surface cleaner. A granite worktop repair and maintenance facilities could be easily found as a supplement to home improvement methods. The small chips or scratches can easily be repaired using epoxy kit. In case of larger issues, including extreme dullness or multiple scratches, it is recommended to go for refinishing or polishing of the surface. For repairing quartz countertops, however, epoxy kits could be used but handling cracks are more difficult in case of these material-made worktops. Keep it off from extremely heated bases or surfaces as it may lead to the decolouration of quartz. With Caesarstone, you get quartz overlay that can be applied on the already existing worktop to give it an elegant appeal. Besides so many factors that affect homeowners choice of materials, the one that is the most vital is the cost of the materials. While granite worktop prices are a little less, averaging $60 per square foot, the quartz countertops cost is quite high, averaging $75 per square foot. For granites, you may get the cost reduced, homeowners may opt smaller pieces or tiles. On the other hand, quartz normally has fixed prices, which is high because of the special edges that are offered. Granite worktops are resistant to cracking, scratches, and chipping. Still, it is always expected that you don’t ever go for these worksurfaces as a cutting surface. Quartz kitchen worktops, on the other hand, are engineered materials that are highly resistant to cracking and chipping stuff. The presence of the resins in quartz make them a more flexible option for people who either want a contemporary appeal or conventional feel in their premises. While care and maintenance are needed for both types of worktops. You may be a little lenient with the care and concern for quartz but you must not lack attention for the granite worktops. No matter how confused you are regarding your choice, it is completely up to your requirements and priorities that will help you make a suitable choice. For some people, it is only the look and feel of the worktops that matters the most while for a few people, it is the care and maintenance requirement that forms the basic parameter for making the choice. Make sure whichever option you choose is one of the best from your perspective. So far as the care, repair, and maintenance is concerned, if you think you cannot proceed with the same, have a professional hired for the same. Choose the one you want and you will get a magical kitchen for yourself. Jennifer Adam is a marketing Head at KMLWorktops.london, a leading retailer of high quality quartz worktops, granite worktops and many other worktop variants for homes and offices in London. She is passionate about all things related to home improvement and she loves to write on related topics when she finds time from his hectic schedule. Your home is your sanctuary, a place where you can unwind and relax after long days of work. It is where you spend most of your time. Everyone has a different picture of what his or her home should look and feel like. What a person wants out of their house very much depends on the needs and tastes of the person in question. That being said, some housing trends remain unaffected by individual preferences and are universal to all home buyers of today. The “open floor plan” or open concept is probably the most overused phrase in the housing market at the moment. Houses with open floor plan usually have large, open living spaces that serve more than one function. In modern houses, this type of floor plan eliminates the need for partition walls between a living room, dining area, and a kitchen. So, you get what is essentially a great room which combines all three spaces. An open floor plan is a necessity for people today. But why has it become such a must-have? Well, the prices of houses are skyrocketing. We can no longer afford big, luxurious houses. Open floor plans are the perfect solution to maximize the floor area that is available to us. They make the interiors of our homes look large, inviting, and free-flowing. Also, open floors plans are very flexible. Hence, they can accommodate our evolving needs. Another advantage of an open floor is that it removes that sense of isolation from other family members. Maybe it is because we have to spend so much time cramped up indoors with our work, any chance to go outdoors and relax is very much appreciated. That is why outdoor living areas have become crucial for modern homes. It is just more enjoyable to have family gatherings, dinners, etc. out in the open, closer to nature. Patios, porches, decks, cabanas, etc. all are great ways to incorporate outdoor living spaces into your homes. These features can also add a touch of beauty to your property. Even with a small property or backyard, these spaces are possible. What you can do is extend your indoor living area outdoors instead of separating them. One example is to have a moving glass wall system or large sliding doors between the living room and outdoor deck or patio. This way, when you open the doors, you can have one large indoor-outdoor living area. Furniture and other furnishings can set the mood for your outdoor living area. So, make sure you are careful with your selection. If you are concerned about the weather, you can shade the outdoor living space. Metal carports, pergolas, canopies, are all very affordable and perfect for the purpose. Life without cars, pickups, SUVs, and other four-wheelers have become pretty much unimaginable. They are indispensable parts of everyday lives. But they do require considerable investment. So, it only makes sense that garages, carports, and other parking spaces would be a priority for any potential buyer. 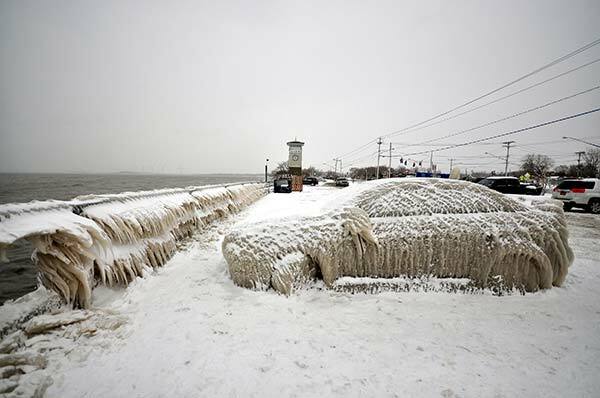 Nobody wants to leave their vehicles at the mercy of mother nature, do they? Besides saving your cars and pickups from the adverse elements, these shelters will also keep them protected from the prying eyes of thieves and vandals. 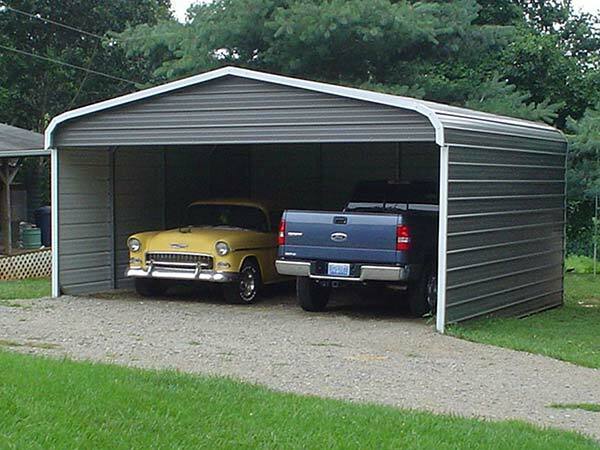 Attached garages are the norms for most modern houses. 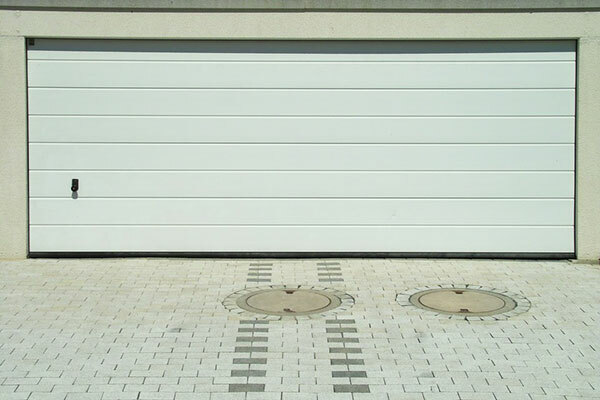 However, detached garages have also become very popular in recent times. But for people who are short on cash and want an affordable solution for their parking problems, then carports would be the way to go. There are many options available in the market, everything from wooden to vinyl carports. Of course, all of them come with pros and cons of their own. However, something that is gaining a massive fan-following among homeowners is metal carports. These metal carport kits are incredibly strong and durable but come at a very low price. People accumulate a lot of things over time; family heirlooms, sports memorabilia, household appliances, and what not. It is just an unavoidable consequence of living. However, they do not want the mess inside their bedroom or living area. There, they want everything organized. So, it is important that a modern house has dedicated storage spaces. Pantries for kitchens, walk-in closets, attics, garages, and basements all form a massive part of modern house design. If you want to save floor space, why not go vertical? Hanging, built-in or multi-purpose shelves are great for this purpose. Some of the homeowners, however, prefer to have their storage completely separate from their house. 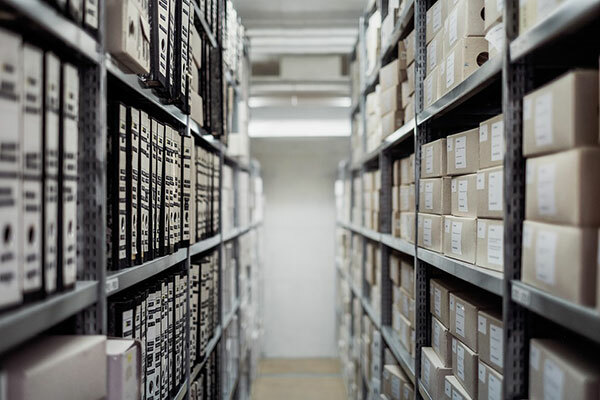 That way, they do not have to constantly deal with the storage hassle and can instead utilize all the available floor area for residential purposes. Hence, outdoor storage shelters have risen in popularity as excellent alternatives. Backyard sheds, detached garages, carports, etc. protect your belongings and do not take up any space inside the house. If curb appeal is of the utmost importance to you, then you cannot go wrong with a traditional wooden storage shed. On the other hand, metal carports and garages are your safest bet if you are looking for affordability and the durability. With the growing understanding of the benefits of sustainable living, more emphasis will be put on natural lighting. And it is not just about limiting your ecological footprints. Its advantages extend beyond that. Natural lighting has been proven to be better for the physical and, more importantly, for the mental health of people. House designs that incorporate natural light can increase the productivity of the occupants, reduce their stress, and, generally, get them in a better mood. Not to mention, it also helps to cut down on the energy costs since you won’t need electricity to light up your house. One of the obvious ways to get daylight into your house is to have bigger or more numerous windows. Picture windows (or windows that do not open) can also let in natural light, and they are more affordable than normal windows. Of course, you will need some normal windows for ventilation. 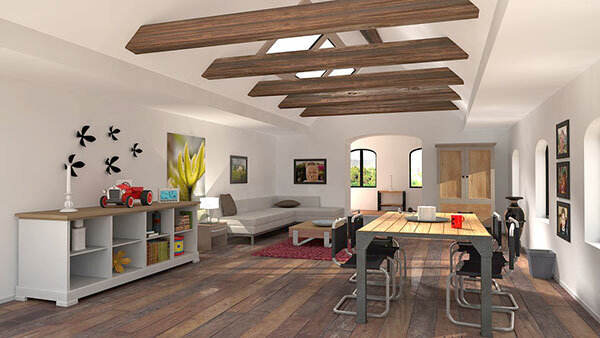 Skylights, clerestory lights, etc., are also effective ways of lighting the interiors of a house. It is finally dawning on people that the ever-rising costs, as well as the ecological consequences of using fossil fuels, is unsustainable. Steps have been taken in every sector to minimize dependency on these non-renewable energy sources. Nowhere have these changes been more apparent than in the housing market. Energy efficient design has become critical to modern houses and rightly so. 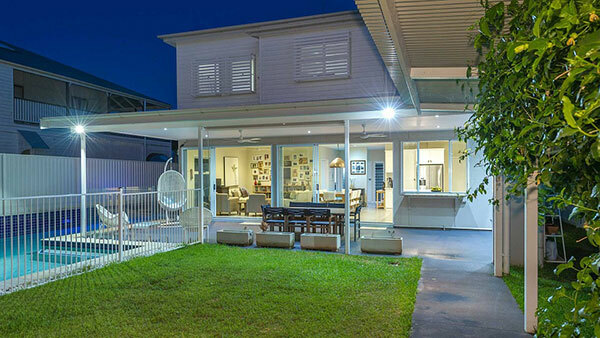 So, how do modern homes achieve energy efficiency? Energy efficient design starts right from the conception of the building. With passive building design, the building can take advantage of the local climate, site conditions, prevailing winds, and other natural features to passively heat or cool the building. Using sustainable building materials and construction practices can also help with the energy efficiency of your buildings in the long run. Insulation, thermal mass, daylighting, natural ventilation, etc. are also essential elements of passive home designs. In addition, modern homes are also looking to benefit from alternative sources of energy. 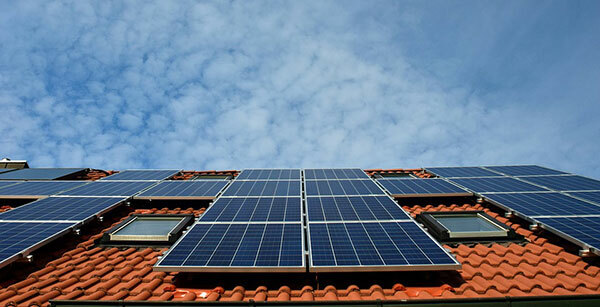 The growing popularity of solar panels, rainwater harvesting, etc. are testaments to those practices. Technological advancements have kept pace with the energy efficient home designs as well. Most houses now run high-efficiency water and lighting fixtures, kitchen appliances, gadgets, and so on to reduce energy loads. These are but some of the popular features that have come to define modern homes. And most of these features do have logical reasoning behind them. Hopefully, the list will be of some help the next time you go house-hunting. 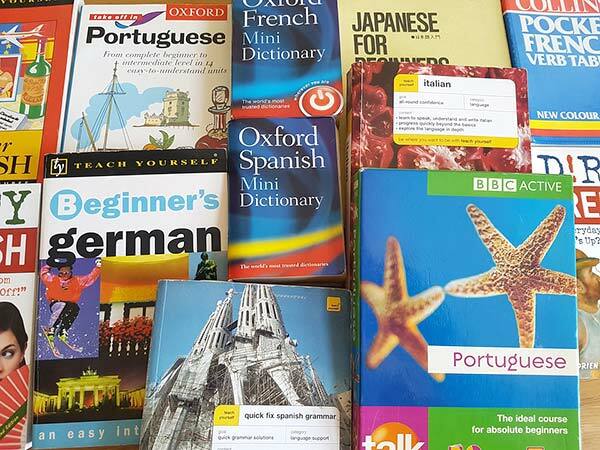 With over 80 languages spoken just in Peterborough, it’s no wonder the area’s professional interpreters and translators are kept busy! 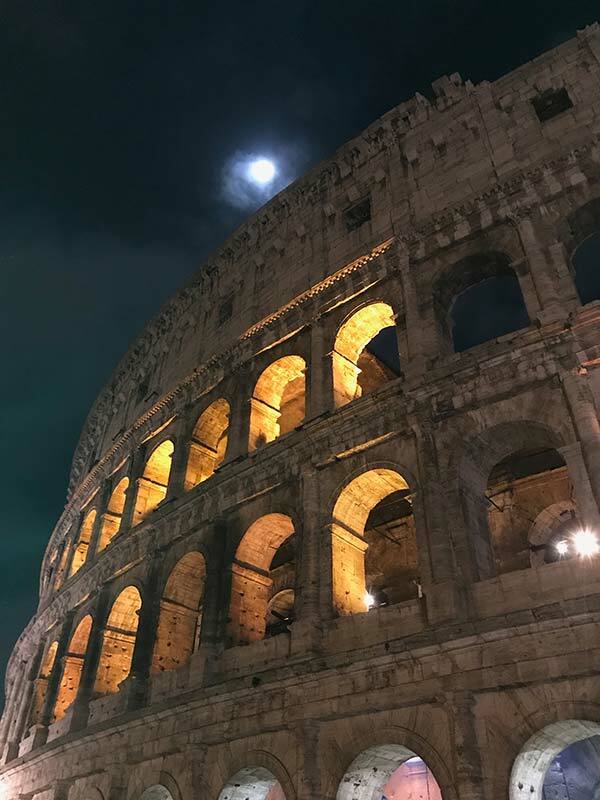 Anne Castellano has been helping non-English speakers in various situations for over 30 years, working as a freelance Italian interpreter and translator. 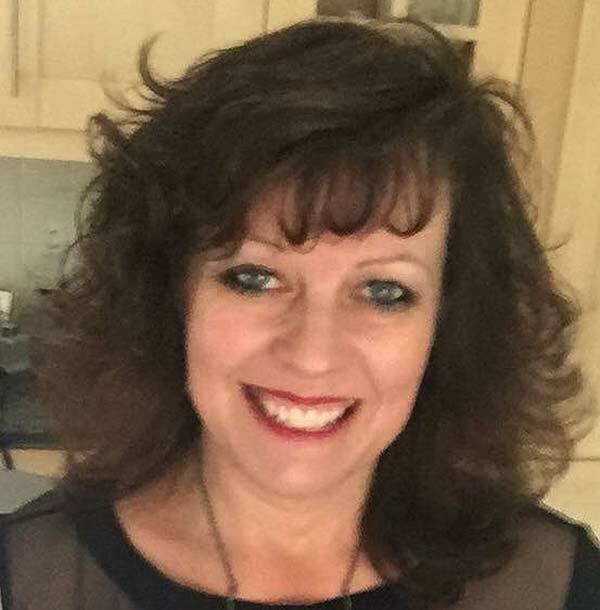 With many thousands of hours of experience in diverse settings, she is equally at home interpreting in operating theatres as in prisons and has vast experience of working with the Police, the Courts at all levels, the Probation Service, Solicitors, Hospitals, Clinics, GP surgeries, mortuaries, Social Services, Driving Theory Tests, dentists, opticians and many more. As you can imagine, this has given rise to many interesting, humorous and sometimes scary situations! There are certain consultants and nurses at the local hospital who go into raptures when they hear Anne in full flow – “keep talking, it’s such a lyrical language, it sounds beautiful!” is the cry. The mood and temperament have to be matched. Once, on a hospital ward, the patient in bed was being repositioned and the nurses ploughed ahead with their ‘manhandling’ as they thought she was saying, “that’s better!” – until Anne pointed out that what she was actually saying was “Aspetta!”, ie. Wait!! Hang on!! Nowadays some people say why employ an interpreter when we have Google translate? …there simply is no substitute for face to face contact. No machine can reflect the subtleties and nuances of language and the message has to be conveyed in the right tone. The competent interpreter can gauge the setting and the appropriate register to adopt to ensure that the client or patient has completely understood. Anne adds that it is equally true that a good interpreter should act as a mirror between the two languages and the best interpreters are considered to be virtually invisible, ie. the conversation or questioning flows effortlessly between the two languages without the presence of the interpreter being noticed or feeling at all intrusive. Anne says how satisfying it is to be able to bring clarity to a situation and, often, calm people down. Imagine not fully understanding what a doctor or police officer or a social worker is trying to say to you… it can be very upsetting and nerve racking. Simply hearing your native tongue can be like adding a calming balm to the mix. Someone who can explain what is going on! Anne always reflects that the presence of an interpreter can be a double boon to the non-English speaker – not only can they then understand what is being said to them, they are also able to express themselves fully in their mother tongue, asking whatever questions they wish or explaining their situation in their own words. It’s clear that Anne gets a real buzz from her work, her favourite bookings are those that allow her to be present in the delivery suite for the arrival of a newborn baby. The variety of the profession never ceases to amaze, one day Anne may be at her desk translating legal documents and the next she may be engaged in conference interpreting or a home visit to an elderly person or, on occasions, doing voiceovers for promo or training films. 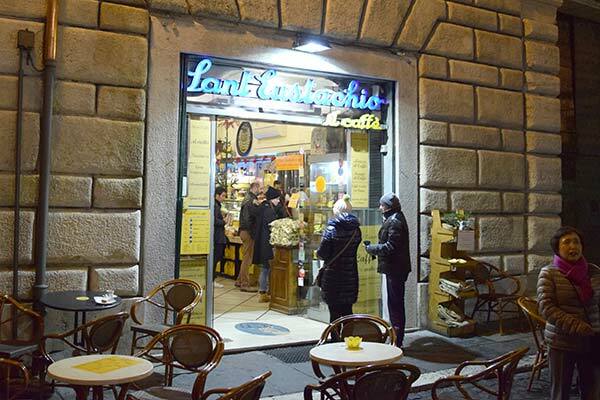 It is this trust and confidence that has led to Anne’s numerous excellent rapports with both professionals and Italian speakers alike. You can easily transform your kitchen with a beautiful interior and update the work surfaces with some of the latest materials such as Silestone. It is a man-made stone, consisting of approximately 95% quartz and other materials to give it impeccable strength. Not only that, Silestone provides great strength but it is also a flexible and adaptable surface. If you are looking for a truly versatile worktop material, Silestone quartz is a number one choice. If you wanted to answer the question, “is your kitchen in need of a Silestone Worktop transformation?”, it depends on the type of interior your kitchen has and what makeover you want your kitchen to have. However, silestone kitchen worktops are ideal to style up any type of kitchen – be it modern or traditional. Having said this, one of the main items to know if your kitchen is ready to receive stone is that it’s already fully installed. Your cabinets should be fixed to the floors and walls. In addition, you should have all the appliances that will be in contact with the stone on-site. This allows the fabricators and installers to know exactly where and how to create the cut outs for your worktops. When it comes to aesthetics, Silestone comes in a wide range of colours – from neutral shades to bright and vivacious hues. So, it can fit into any kitchen style or theme. Silestone is tougher than granite, as it’s a non-porous material with resin content to make it impact resistant and malleable. While both materials provide stout durability, Silestone is highly resistant to scratches and stains due to its non-porous nature. In addition, Silestone surfaces come with exclusive bacteriostatic protection which ensures hygiene is always a must. Similarly, the brand offers N-Boost treatment on all its materials which act as a liquid repellent. The result is achieved by developing a treatment that acts at a molecular level within the stone. Silestone Calacatta Gold is a gorgeous kitchen stone to add a sophisticated flair to your kitchen, just like any natural stone. However, Silestone has a leg up on any sort of natural stone when we talk about large installations. This is because some of its slabs are fabricated in larger pieces without any seams or fewer seams. If you want a flawless countertop, it must be on your list. Not only that Calacatta is the most famous marble in the world but the manufacturer offers the natural look without the maintenance required on natural marble. Another best thing about Silestone is that it doesn’t require any sealant or protective coating to prevent it from heat, stains or scratches. Routine clean-up is also a breeze with just mild soap and water. While Silestone claims to be heat-resistant and totally heat-proof, it is advised to not put any hot pan on the surface. Place a hot pad or trivet before putting a hot pan on it. It will only enhance the longevity of the stone in the long run. It is best to purchase your worktop material, such as Silestone Statuario or any other worktop material, from a reliable stone supplier. Comprehensive online stores offer a huge selection or range to choose from, at very reasonable prices. You must take your time and do some legwork before investing in a kitchen worktop material. Try to avoid any place that pushes a specific brand or style on you. There must be no pressure to pick any stone that you don’t want. 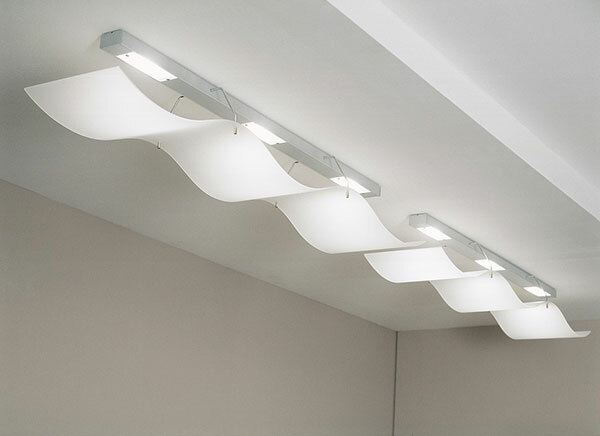 It is best to look for a place that handles designs, fabrication, installation and sales. A company that handles all is more likely to work with skilled craftsmen to install your worktop and handle the renovation well. If anything goes wrong, you can also contact the company to deal with the issue. Moreover, make sure that the company has been in the industry for years and that they have favourable customer reviews. Also, ask to see their testimonials or work samples to know more about their previous work before hiring them. In recent years, our social media feeds have contributed to a fitness revolution that cannot be avoided. With images of the ideal body perpetuating through society, there has been a change in attitudes towards exercise, fitness, nutrition and fashion. Social media apps such as Facebook and Instagram have provided personal trainers and fitness fanatics with a platform to offer advice and support for others trying to achieve their fitness goals and adhere to the ideal. Why is Instagram So Popular Within the Fitness Industry? Instagram has become societies go-to platform for inspiration and motivation, whether you are working towards a bikini body, training towards your next bodybuilding competition, or simply trying to lose/gain weight and get in shape. Thanks to Instagram, there is a constant stream of motivation to drawn on, with a plethora of fitness and sports brands capitalising on users on-going quests for self-improvement. But why is Instagram so successful at doing so? People are drawn to the consistency of photographic evidence that demonstrates progression and results, giving people the encouragement and hope that such goals are possible. Some of the most successful brands on Instagram take a subtle approach to selling by focusing on posts that tap into the users desire for a particular lifestyle – not just a product. It is very likely that if a consumer is interested in sport, then they are going to be interested in nutrition, health and general well-being too. Consequently, brands recognize the importance of viewing users in this light, ensuring that their posts aren’t too repetitive, dull or just trying to sell a product. Just How Powerful is Instagram? Instagram statistics demonstrate immense power showing that 1 billion active users a month, and around 100 million pictures and videos uploaded every single day. So, it is no surprise that Instagram holds immense power to connect people from all over the world. 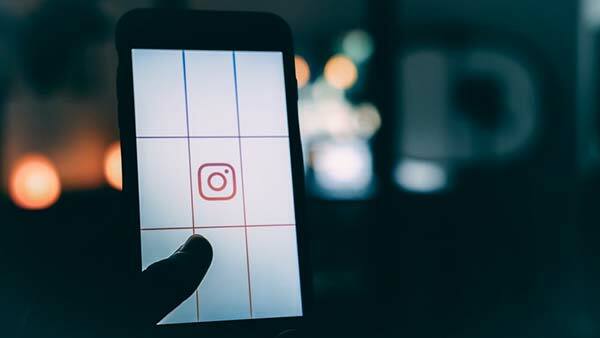 Such power has enabled Instagram to become the ultimate platform for businesses and organisations to gain more coverage for their brand and products. In fact, it’s not uncommon for the average search engine optimisation company to now switch their attentions to using social media as their primary marketing tool instead, such is the power and influence it has. Instagram has become so powerful that personal trainers, health experts and fitness enthusiasts can capitalise significantly from the platform. Diet plans, workouts and health supplements are increasingly shared across Instagram, particularly since public figures and influencers can use Instagram as a way of promoting specific brands, just by the upload of a photo and use of a hashtag. Instagram’s image of the ‘ideal’ figure promotes sculpted curves, defined abs, toned glutes and solid muscles, an image that showers our feeds on a daily basis. This raises a debate as some people see this as problematic as Instagram is promoting an unrealistic and unattainable goal, that young people become obsessed with. Alternatively, the images can be used in a positive way to show off personal achievements, thus inspiring and encouraging others to continue living a healthy lifestyle in order to achieve your goals. Instagram has caused a stir in the fashion industry by infusing the world of style and sport to create a hybrid style, known as ‘athleisure’ which is currently one of the hottest trends. The term athleisure refers to casual clothing that is designed to be worn for exercising as well as general use. Once upon a time, showing up in yoga pants or cycling shorts and trainers anywhere outside of the gym was frowned upon. Now, street-style icons can be found flaunting their healthy lifestyle on-the-go by pairing their favourite trainers, with high-performance sportswear. And thanks to Instagram, it is apparent that this trend is here to stay. Fashion brands are now creating athleisure lines that are designed with versatility in mind, enabling consumers to be able to wear them on any occasion. The athleisure trend has demonstrated a super quick growth over the past few year and has become a staple within the fashion industry, both luxury and high-street. The explosion of athleisure has been fuelled by the Instagram lead cult of healthy living and clean eating. Fitness enthusiasts are constantly posting pictures and selfies of themselves modelling with new protein shakes whilst wearing their latest gym apparel (which is often part of a brand deal, given to them in exchange for promotion). These days, a meal cannot be consumed before taking a picture and sharing with Instagram first. Food photography has transformed societies eating habitsby displaying a multitude of delicious pictures of healthy food and recipes that are promoted by health experts and nutrionists, encouraging people to eat healthy. Society is now used to the notion that the camera eats first, and thanks to Instagram, there is lots of knowledge and information out there about healthy eating which has made eating vegetables trendy. Influencers have become extremely popular within the world of Instagram. The concept of an influencer is only possible because of how social media has changed how we perceive and process digital media. Fitness influencers have quickly become some of the most powerful across social media. Why? Because, once upon a time, the fitness industry implied that achieving a dream body was only attainable for those that workout the hardest, like famous body builders and professional athletes. Fitness influencers have diminished such attitudes by transforming the notion of fitness and making it achievable for everyone. In order to capitalise from this, influencers manipulate their digital image to adhere to brand deals for public exposure. Will Instagram Continue to Grow? For as long as Instagram remains a platform to share photos and high-quality content, then it will continue to grow indefinitely. So far, it has connected millions of fitness-minded users, as well as encouraged people to lead a healthier and more active lifestyle, something of which should continue. You probably feel happy and excited about purchasing a lot and creating a plan for your area. At the time of building a new home, a community project, or a business facility, some things can be time-consuming because it needs setting out, excavation, site clearance, and safety measures based on the depth of excavation. Before you schedule your excavation and grab the shovel, there are several things to consider and check off in your to-do list. Your hired builder would probably do the excavation checklist, but it is better to have an in-depth understanding of the entire process of the site work. By that, you already have a good grasp that your construction site is ready for development. To know more, here are five things to do before you dig your foundation. Whether you intend to purchase new land or have plans to build on property you already own, there are many reasons why you may need a feature or land survey. Getting your property surveyed is a substantial way of preventing costly mistakes in the future. A property survey is not only beneficial, but it is also a requirement for moving forward with your plans and the development of your construction work. One of the reason is when you are trying to choose if the project will obtrude on someone else’s property. Furthermore, it is also essential that you hire a land surveyor to avoid property line disputes. Also, for you to know if whether or not a building is in a flood hazard area when you are preparing for a subdivision layout. You and your builder consultant should know some specific things before doing any activity in the construction site. For excavation, you will want to inspect all cleanouts and manholes for damage and mark them with bright paint. You also need to check the weather forecast the day before the excavation activity as you don’t want to open up the hole when it is raining. Also, if you are building in cold temperatures, be sure that you have a plan for blocking the ground from freezing. The site preparation process is the first step to do and to be done. A person who wants to build a new home, a community project, or a business facility need a clear and adequately prepared site. There are various processes involved in preparing the site. Here are some of the step by step site preparation process. 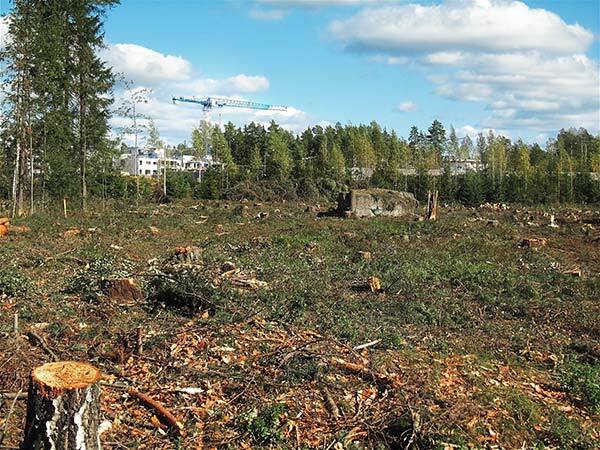 Site clearing is the first task of site preparation. The site should be in a cleared and graded condition. 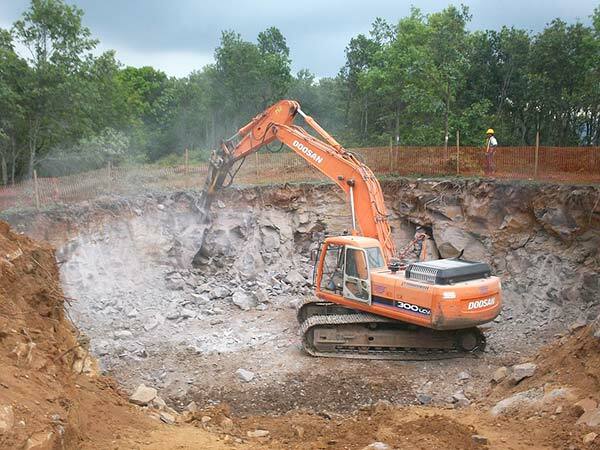 The site clearing involves the removal of barriers such as trees, bushes, and debris that can be crucial to excavation and can affect the construction process in the future or hinder the project to be done. Soil testing is a significant task that requires to be done before the site is acquired. It is essential to examine the quality of the soil to determine its workability. Soil testing must be done by a competent geotechnical engineer to evaluate how the soil onsite will react to certain conditions and to regulate how much weight a building can hold. Site plan design is the next step after the soil testing is completed. Having a site plan alter the composition to indicate the placement of all the necessary fixtures. Without the design, nothing can be accomplished on the site. Underground Utility Mapping. Aside from removing the old structures and other possibles obstructions from the area, the developer and the crews will also account for the utilities and subsurface structures. The underground utility mapping is an important factor in maintaining safety in the job site and not to expose the crew to more significant risks. Failure to map the subsurface utilities could be catastrophic such as causing injuries to the team and massive project delays. Before you build, don’t forget to take one last look at the city’s building codes. The builder, developer, and designer should familiarize all the rules and regulations that encompass around your build. For instance, digging the area that infringes or is too close to someone’s home or property could result in costly fixes. Make sure the construction is up to a given standard so that the labor and process will go smoother. When you choose an area or land within an existing development, you don’t need to be worried about the utilities. Your chosen developer has extinguished all water, gas, and power to the area to make the development of the building much more manageable. Having the water and energy dramatically helps in the smooth run of the building process. However, if you pick out an undeveloped land, you have to certainly bring the utilities to the area before cultivating the ground. You also need to know where the utilities will enter before pouring a foundation. The strength of the building lies in its foundation, and most people understand that the foundation of any building provides the necessary support for the entire structure. The five things mentioned above are one way of making construction work successful, and it should not be taken for granted as it protects all people visiting the building in the future. Louise Davis is a part-time writer and a full-time mom on her 5-year-old daughter. She is also engrossed in the architecture and engineering field and is a web writer for Winola Excavating and other construction companies. When not working, Louise enjoys reading books and watching fashion shows. Accidents in the road happen, and it’s an inevitable no matter how careful and cautious you are. 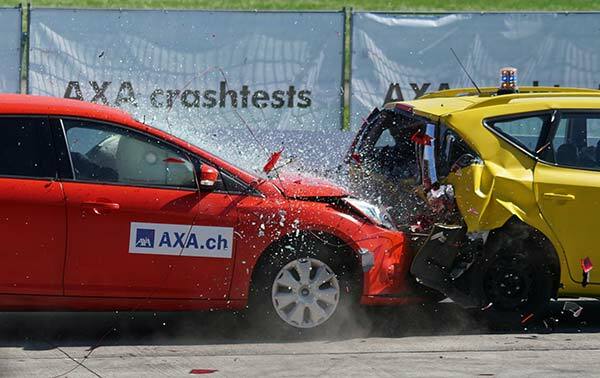 Millions of car accidents occur around the globe each year, and the total cost of the casualties is immeasurable. Therefore, knowledge about such events will come in handy in case you’ll get involved in an accident. So what should you do if you’re in a car accident? When you’re involved in one, there may be a shock not only to your mental health but to your body as well that could lead to a severe injury. But the first thing you should remember if you’re involved in an accident is to calm yourself down and try to assess what happened. There are essential things you need to do if you’re involved in a car or any vehicular accident. These factors can help you make sure everyone, including you, is safe. To protect your interest and the lives of the victims, prepare yourself by learning the right ways of dealing with an accident. So here are the things you should do in case an accident occurs. First and foremost, check yourself if you have injuries caused by the incident and check your surrounding if anyone requires medical assistance. If anyone’s injured, don’t hesitate to call the emergency hotline services immediately. If you know first aid, apply it to the victims and make them comfortable. If there are severe injuries such as spinal and head injuries, don’t move them and wait for the ambulance to arrive. You also need to check the area if it’s safe for the other vehicles to pass as secondary accidents are still possible. In addition, make sure to switched off your car’s engine to lessen the hazard in the area. If it’s safe to do so, you can move the vehicles involved in the accident as some accidents occur in highways and can cause high traffic. Lastly, always keep in mind that if there’s an accident, the first people you have to call is the emergency services then the authorities or the police to attend and help the people in the venue. 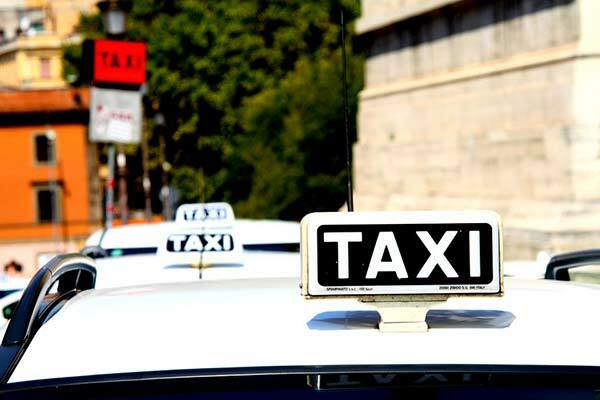 After attending to the needs of everyone and while waiting for the help to arrive, collect and exchange information with the other drivers or driver included in the accident. You can also discuss insurance information with them. It’s essential that when you’re talking to them, you have to be polite and cooperative. Keep in mind that you don’t need to force them to talk with you as they’re also involved in an accident and some of them might be still shocked at what happened. However, one of the most important things to remember is that you shouldn’t apologize for anything that happened in the scene as you may be admitting legal liabilities for the accident. Information is critical when it comes to this type of accident. So when collecting for information, don’t forget to record their full name, the location of the accident, driver’s license especially when you’re the victim, plate number, model and color of the vehicle as well as the insurance company’s name and policy number. If possible, call your insurer and inform them about the accident right away. While talking with them, they’ll be able to advise you of what you should do next. But most insurers usually warn their people not to admit liability to anyone. Fully cooperate with them, explain the facts clearly, and tell the truth about what happened in the incident. Don’t lie to your insurance company as it’s against the law, but be mindful of the information you’re telling them. If they have questions for you, answer them truthfully and provide an honest answer about the incident. Don’t assume things and blame others for the incident. Let the police and your insurance company handle their jobs and determine who’s at fault. If you feel liable about the incident or you’re a victim of any vehicular collision such as bus accident, consider hiring a personal injury attorney to help you with legal matters concerning injuries, and lawsuits. But remember, if you feel liable for the incident, better keep it to yourself as it could be the reason for you to be in jail. Hiring an attorney can help you maximize your recovery time if you sustain injuries and can help you defend yourself if you’re at fault. 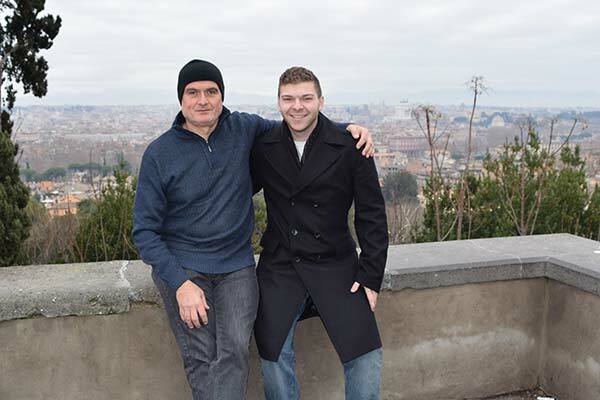 In addition to that, you won’t have to worry about the fees as most attorneys work on a contingency fee basis, which means they only receive payments if you receive a settlement. Bottom line, if you’re involved in a vehicular accident, try to stay calm. Panicking will never be an option as it could just possibly make things worse. Remember that you don’t know any of the people in the incident, so you have to think of yourself first before attending to their needs, and that is if you don’t have any injuries. The best thing you can do when you’re involved in an accident is to stay calm, assess what happened, and go through the steps listed above and let your insurer and attorney settle the legalities of the situation. Louise Davis is a single mom with a 5-year-old daughter. She often loves writing stories and watching thrillers. She’s also an aspiring lawyer. Aside from being a writer, she’s a self-confessed bookworm too. Your car is an asset for you, if it got damage through natural causes or human faults then it directly affects its warranty as well as it’s resale price. Using Carport or Garage may be a good investment for protecting your car’s or other vehicles from natural causes or human faults. If you are buying a carport or garage, then you’re increasing the durability and in turn the money value of your car over the period of time. There are numerous methods mother nature uses to harm your car the most. If you don’t possess a carport or garage, the one that most people today encounter, sometimes daily, is heat. It’s worth mentioning even though it is always in the news, that you should never abandon a child or animal in your car when there is too much heat. The majority of us know this, but there are still lots of incidences that occur every day that prove that it is still just most, maybe not all. Similarly, you can’t leave your car in the winter and rainy season. Heavy snowfall can damage your car brutally. It can jam all the parts of your vehicle rapidly, that’s why you can’t leave your car in an open area in the heavy snowfall. Also, there are further ways mother nature picks to harm your vehicles and other property, like a hurricane. Hurricanes are powerful destructive forces and are known to slash houses from the ground. In any case, ensure you and your family are secure until you concern yourself with your vehicle. In the event you purchase certified top-rated metal carports, you have much less to be worried about. If you do not, there are an assortment of items that may completely mess up your vehicle. Ensure that your car is not parked close to any trees or massive objects. Also, be conscious of areas in which water can pool during a storm. If you park your vehicle next to the bottom of a mountain, then you may experience water damage. Also, the inability to really go and get supplies following the storm once your car is parked in the sand, not on concrete under a carport or garage. Keeping your vehicle under a covered metal construction is by far the best method to keep it safe from damage, and we recommend installing a concrete base for superior wind speed assurance. It is important to get a car in the functioning condition in the event you want to deplete and can be the difference within death and life. As you know that heavy rain could be brutal, and also flash floods are unpredictable. Check your altitude all around your home before selecting where to put in your carport, or before pouring the concrete base you need to install it on. 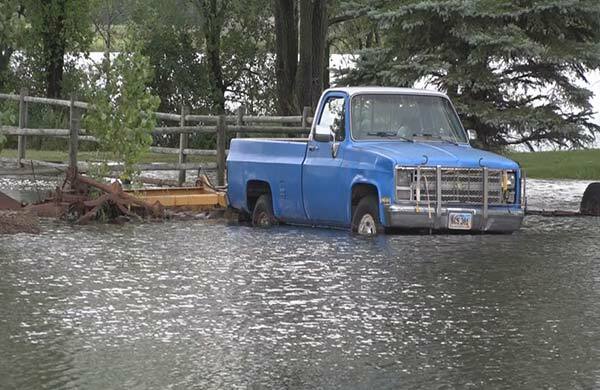 If you live somewhere that floods occur many times, you should search for a large area available on your house to install your garage or carport. Water damage can entirely ruin interiors even if it barely makes it in. Mold may cause your car to be uninhabitable, and should you have allergies can make driving a nightmare. The same as in the case of hurricanes, having a fantastic thought of the surrounding region’s large objects during a flood is essential. In the summer season birds are chirping, the swimming pool is open, the kids are out of college or school, and you’re preparing to break down your garage or carport. 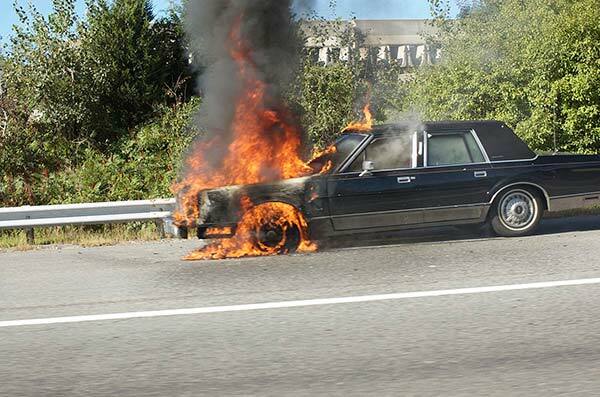 But wait before you do that, you should be aware that the heavy heating can still damage your car and another vehicle. Heat can be much more damaging than a singed fingertip at the touch of a seemingly white-hot seat belt clip. Harmful UV rays can sunburn the paint of your car, acid rain may eat off at the finish, which changes in humidity and temperature can encourage rust! plus, all the neighborhood kids are out placing your vehicle at risk of baseballs, bicycles, hula-hoops, scooters, and more. And today that Fido is out in the yard more often, you’d better hope he doesn’t drag a rod down the side of your vehicle! On second thought, maybe you need to leave your car right in which it’s – under the security of your reliable garage or carport. Different seasons come and go over the period of a year then each one can damage your car and vehicles brutally so, because of that your car and vehicles can lose their warranty and money value year by year. By having a good quality carport or metal buildings can save you lots of money by protecting your precious car and other vehicles.